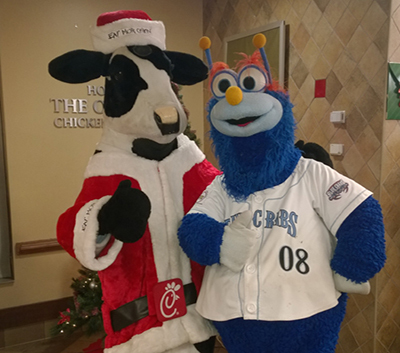 Pinch has been the center of the fun for all Eeven years of Blue Crabs baseball! Our "lovable blue furball" loves funnel cakes, a great time and of course: Blue Crabs baseball! Pinch has been everywhere in his years at the helm as the official Mascot; from birthday parties, to Camden Yards, the Naval Academy, Atlantic League All-Star Games and countless Blue Crabs games. While you can always find Pinch having fun at Regency Furniture Stadium, the Blue Crabs mascot has a great time visiting everyone in the community! Pinch can join your group for birthday parties, carnivals, school assemblies, parades, charity events, and more! 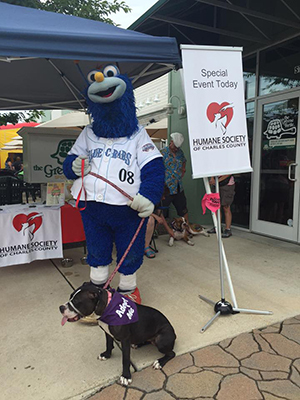 If you’d like to see Pinch at your next event, please contact Kristine Perry at kperry@somdbluecrabs.com or click here to fill out an online form.